Alliance Technical Sales recently commenced representation of HF Scientific, a manufacturer of water quality instrumentation and chemistry products. The arrangement complements the already broad line of analytical products offered by Alliance for fluid processing and analysis across a wide range of applications and industries. Determining the levels of chloride and sulfate in water is especially useful to power plant operators. Contamination of the power plant process water by chloride and sulfate leads to corrosion, pitting, and stress corrosion cracking in pressurized equipment and piping. The deposits that can result from contamination reduce heat transfer efficiency. Boilers and turbines suffer under the effects of excessive chloride and sulfate levels, so monitoring of their levels at critical locations in the steam system provides operators with actionable information that can be used to maintain efficiency and reduce maintenance demand. Mettler Toledo, under their Thornton brand, provides a reliable and affordable analyzer for chloride and sulfate concentration in water. The video included with this post outlines the operational advantages of microfluidic capillary electrophoresis, the measuring technology employed in their system. Share your on-line process analysis challenges with product application specialists, combining your own process knowledge and experience with their product application expertise to develop and effective solution. Planning, purchasing, and configuring a bioreactor and an associated control system can be a time consuming project that taxes the limits of your technical knowledge. Coordinating the connectivity of all the components and getting everything to work in harmony takes time away from devotion to the mission goals of your project or organization. 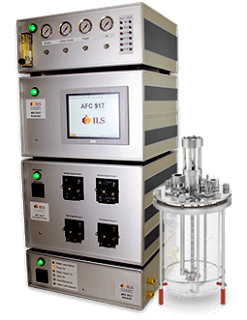 ILS Automation, experts at bioreactor process control, now offer fully packaged and integrated complete bioreactor systems that allow customers to get up and running with a minimized time commitment. The new packaged systems include reactor vessels from 2L to 20L and combine useful design principles into every unit. Non-proprietary components that are readily available. Design empowers customer, or a third party, to perform service. Software and interfaces match customer requirements. Complete documentation and source code provided. More detail is provided in the datasheet included below. Share your bioprocessing and analytical requirements and challenges with application experts. Combine your own process knowledge and experience with their product application expertise to develop effective solutions. Complete Bioreactor Package for Streamlining Bioprocess Applications from Alliance Technical Sales, Inc.
Smart sensors for pH, DO, and CO2 deliver a high level of performance and productivity enhancement for analytical users. Reduction in the time needed for sensor maintenance and calibration channel more time into delivering analytical results. 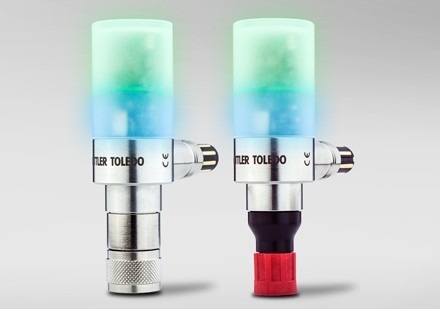 The new M100 SM (Sensor Mount) transmitter from Mettler Toledo streamlines the integration of their ISM smart sensors into bioprocess control systems. The transmitter mounts directly to the sensor, without the need for separately housed electronics. The compact configuration combines the advantages of the ISM smart sensor with several analog and digital outputs for connection to bioprocess controllers. The M100 SM is available for use with a variety of Mettler Toledo ISM sensors, including those for pH, DO, and CO2. The transmitters provide two 4-20 mA outputs and one digital Modbus RTU connection. Configuration and sensor status check can be accomplished via Bluetooth using a desktop PC or mobile device. More detail is provided below. Share all your analytical challenges with application specialists, combining your own process knowledge and experience with their product application expertise to develop effective solutions. Sensor Mount Transmitters For Smart Sensors from Alliance Technical Sales, Inc.
Alliance Technical Sales Product and Manufacturer Line Card from Alliance Technical Sales, Inc.